Louie’s Pizza Pie Company, Inc. began operation in April, 2009 when Louie Sardi opened his carry-out and delivery pizzeria in Shelby Twp. Michigan. At that time, Louie began serving gourmet pizza, chicken, sub-sandwiches, ribs, salad, and more using his own unique proprietary ingredients and recipes to the general public. In May of 2012 Louie’s Pizza Pie Company, Inc. began offering franchises and within the past 2 years 4 more pizzerias have emerged. Louie’s Pizza Pie Company, Inc. restaurants only use the finest ingredients and never sacrifices the quality of our product by using inferior and processed ingredients. At Louie’s the pizzas begin with fresh hand-tossed dough made daily in each store, custom blended mozzarella cheese, exclusive pizza sauce, and hand-washed and hand-cut vegetables in every store. At Louie’s Pizza Pie our mission is to bring our customers a consistently delicious pizza with fast, friendly, and dependable service. We strive to be our customers’ favorite place for carryout and delivery pizza. 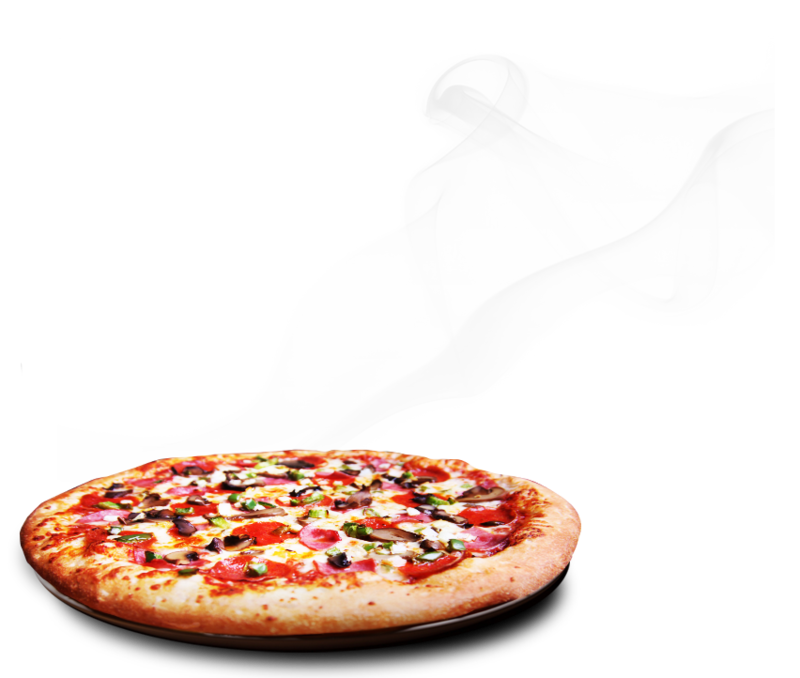 Although the pizza industry is a competitive business we believe that the quality of our products, our exceptional customer service, and our methods of operation provides us with a superior advantage over our competitors. Customer service – Louie’s Pizza Pie is a customer driven business – we are committed to meeting and exceeding the needs and expectations of our customers. Our employees go above and beyond our customers’ expectations to ensure total customer satisfaction. At Louie’s we care about our customers personally and each employee works swiftly and effectively on each customers’ behalf. We don’t just focus on making an excellent product we also make every effort to achieve excellence in customer service. Employee loyalty – Our employees don’t really work for us; they work to be part of our dream. We are simply the idealists and their leaders to achieving something extraordinary. Our employees feel an intrinsic sense of pride because they are a part of something that is special. At Louie’s Pizza Pie we focus on employee engagement, which is a frame of mind that goes beyond job satisfaction and guarantees the long-term productive tenure of faithful employees. Business integrity – At Louie’s Pizza Pie we aspire to be recognized as the leader for the products and services we provide. Our goal can only be achieved if we are also committed to the highest standards of business integrity. We live by our core values and our ethical principles; we don’t just talk the talk, we walk the walk. Every employee at Louie’s Pizza Pie is expected to share and adhere to these values and principles. Our commitment to business integrity is at the heart of our ethical principles. At Louie’s Pizza Pie webelieve in competing fairly and openly by growing our business profitably through creativity, intelligence, and just plain hard work. We are also committed to dealing fairly with all of our stakeholders, including our customers and employees, which is founded on our ethical principles of respect and trust. Continuous improvement – At Louie’s Pizza Pie we define success as getting the right things done well. We persistently pursue continuous improvement and excellence in our work procedures, our products, and our customer service. At Louie’s Pizza Pie continuous improvement means relentlessly developing accountable systems to generate foreseeable profits and to ensure we run a more efficient, cost-effective company, so that we can ultimately earn more benefits for our employees, our customers, and all those associated with Louie’s Pizza Pie. Pizza is without question one of America’s favorite foods, according to a pizza consumer trend report by Technomic, researchers found that 75% of consumers eat pizza twice a month or more, and consumers report an average of 3.4 pizza occasions per month. Moreover, the USDA scientifically concluded that Americans eat a lot of pizza. Specifically, the USDA (2014) found that on any given day, 13% of the U.S. population aged 2 years and older eats pizza. Everyone loves to eat pizza; based on reported sales numbers from CHD Expert and Technomic U.S. pizza stores generate sales that amounted to 38.5 billion dollars in 2014, which was surpassed only by the burger category. In addition, total pizza store counts in the U.S. rose by more than 2% over the past year, and the majority of that increase came from independent operators (PMQ, 2014). At Louie’s we are very passionate about growing our business, having fun, and of course making money. Louie’s Pizza Pie is committed to franchising as a predominant way of doing business and we rely on our owners/operators to play a major role in our success. As a Louie's Pizza owner, it is more than just being part of a franchise; it’s about knowing that you are a valued and welcomed member of our growing family and that we are committed to your success. In fact, we measureour success based on the viability of our franchised stores. Just like the larger pizza chains, Louie's Pizza Pie provides the support needed to help you succeed, but we believe that we do it better and in a more personal and effective way. Are you ready to join the Louie’s Pizza Pie family? Below are the requirements, read through them and determine if being an owner/operator is right for you. *A minimum net worth of $230,000-$425,000 is required per restaurant in cash, liquid assets, available financing, or a combination thereof. Financing – Louie’s Pizza Pie does not offer direct financing at this time. Financing can generally be obtained; the amount of the down payment required to get financing will vary based on the financial institution and your credit worthiness. Pre-approved financing for a Louie’s Pizza Pie franchise is available through Huntington Bank for all qualified applicants. Step 1 – Submit your franchise application with all required supporting documentation, such as resumes, financial statements, etc. Step 2 – Your application, along with your supporting documentation will be reviewed by Louie’s Pizza Pie Company, Inc. Once your application is reviewed you will receive an initial call from one of our franchise representatives. Step 3 – Once your application is approved/qualified you will be sent a Franchise Disclosure document. Step 4 – After you have signed and returned the Franchise Disclosure document, a franchise representative will contact you to schedule an interview. Step 5 – Upon completion of your interview, you will be notified if you have or have not been approved to become a Louie’s Pizza Pie franchisee. What is the initial start-up cost to build up a Louie’s Pizza Pie Franchise? The total initial investment necessary to begin operation of an individualized Louie’s Pizza Pie Franchised store ranges from $229,400 to $422,400. The profitability of each Louie’s Pizza Pie Franchise depends on a number of factors including, occupancy and operating costs, financing terms, franchise store location, and most importantly, franchisees’ ability to operate the business effectively.A franchise is a long-term investment and the amount of time it will take a franchisee to begin earning profit will vary. However, a typical Louie’s Pizza Pie store has the potential to start bringing in revenue within the first three years. What is the standard franchise fee? The initial standard franchise fee is $20,000 per unit for a standard Louie’s Pizza Pie store. Please contact us for more information about our current incentive program, which may reduce the initial fee. What is the standard royalty fee? 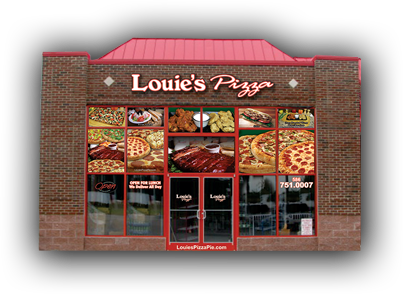 Louie’s Pizza Pie Company, Inc. has an ongoing monthly royalty fee based on a percentage of an owner’s/operator’s Acquired Inventory, instead of basing the fee on a percentage of gross sales like most other franchisors. This means that Louie’s Pizza Pie does not review your business records in total, we only need to verify your purchases from our approved vendors. Acquired Inventory includes the cost for all of the ingredients for the preparation of food items, prepackaged food items, packaging material, and supplies received by the franchisee each month. The royalty fee is 8% the first year, 9% the second year, and 10% the third year through the remainder of the contract. *Louie’s Pizza Pie Franchise Disclosure Document includes more detailed information regarding marketing and advertising fees. Does Louie’s Pizza Pie Provide Training and Support? Yes, we provide a comprehensive initial training for our franchisees and/or to their designated managers for a period of 5 to 14 days, with a maximum of 8 hours per day. The training program consists of hands-on, on-the-job training in all aspects of the operation of a Louie’s Pizza Pie store. There is no charge for the initial training; however, the expenses of attending the program such as travel costs, room and board, etc. will be the sole responsibility of the franchisee. We also provide continuing support as you establish and grow your business. If I am an independent pizzeria owner, can I become a Louie’s Pizza Pie franchisee? Yes, and the benefit of doing so includes being able to leverage our volume purchasing power, utilizing the Louie's Pizza Pie brand, participating in cooperative advertising, and benefiting from our local advertising initiative in the surrounding areas we serve.